NAPCP Announces Photographer of The Year: 2014! 04 May NAPCP Announces Photographer of The Year: 2014! 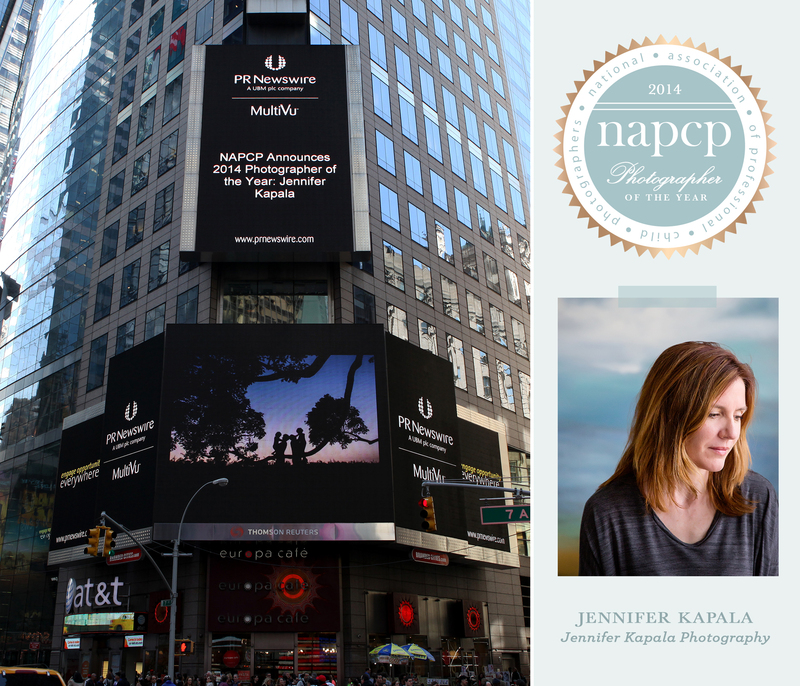 The National Association of Professional Child Photographers (NAPCP) is thrilled to announce its 2014 Child Photographer of the Year, Jennifer Kapala of Jennifer Kapala Photography. A winning image from Jennifer was featured on an electronic billboard in New York City’s famed Times Square. We have worked closely with our vendor partners to create an incredible prize package for the 2014 Photographer of the Year. Not only will the winner of this prestigious title be rewarded with Lifetime Membership to NAPCP, tons of press and social media coverage, and an exclusive Seal of Distinction; but they will also receive over $3,000 in prizes from our vendor partners. News of Jennifer Kapala being named NAPCP’s 2014 Child Photographer of the Year and of the winners of the seventh annual Image Competition was released a few days ago over hundreds of different news and media outlets around the world. Congratulations to Jennifer and all of the winners on their fantastic accomplishment!